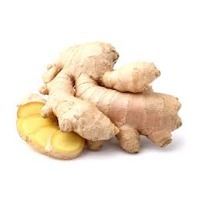 Browse fresh-ginger suppliers by country and region. Ginger : 1 x 20' container, specified to buyers requirements. 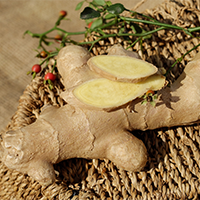 Our Ginger has a unique strong Taste and Aroma. 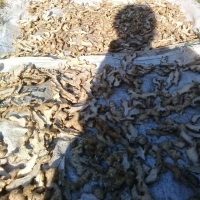 Different maturity is used for different purposes; young ginger is commonly pickled as side dishes while matured one is used for cooking. 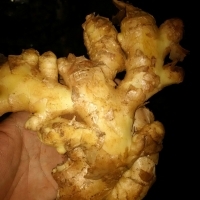 Our ginger is grown in highland areas with suited weather condition to ensure less fiber and strong aroma. 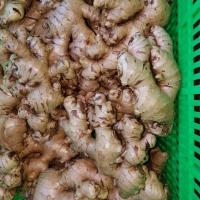 Our Fresh Ginger is supplied from farms/suppliers in Thailand, Vietnam, India, China and Nepal. 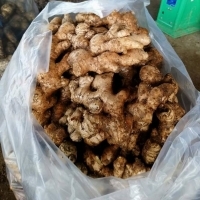 Fresh Ginger good quality origin Thai and china. Size: 150 grams per single pieces. Packing: 6 KG in papper/PVC Boxes. FOB Price only 0.65 per KG. Short on time? 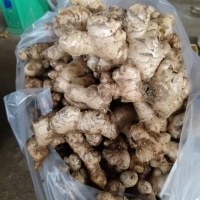 Let fresh-ginger sellers contact you. 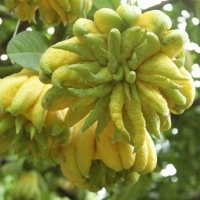 Origin: Viet Nam Size: 100g, 150g, 200g, 250g, 300g, up Features: Clean surface, no mouldy, no pesticide thin skin, yellow inside and nature yellow skin, little fibre, hot spicy flavor, delicious taste for cooking, rich nutrition for human health. 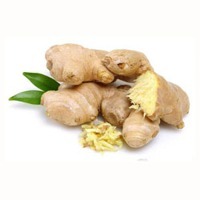 Ginger : Solution table cold, warm in the vomit, warm lung cough, detoxification. Indications - Cold cold, spleen and stomach cold, stomach cold vomiting, lung cold cough, solution fish crab poison. 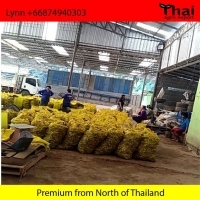 We are farmer from the best planting sites in thailand if you are looking for ginger&onion please allow us to offer the best price to you. 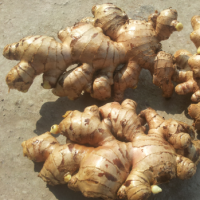 Ginger, of the family Zingiberaceae, is a flowering plant whose root is widely used as a spice or a folk medicine. 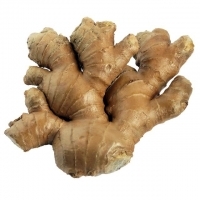 We supply high quality ginger that has a rich pungent taste and adds flavour to any dish. 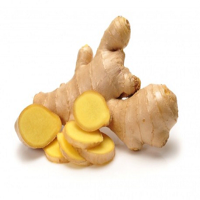 The two types of ginger we provide are dried and powdered. Dried Ginger Naturally dried ginger is used in curries, soups, tea, etc. Since it is naturally dried, it is absolutely pure and of high quality. 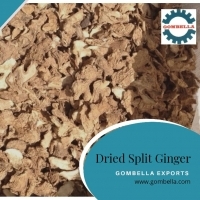 Dried ginger can be peeled and used which is known as white ginger. It can also be used in powdered form. 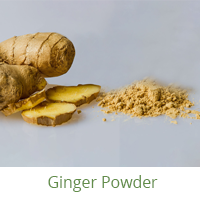 Ginger Powder Ginger powder is the powdered form of dried ginger and can be used as a quick garnishing or flavouring agent in a wide variety of dishes. 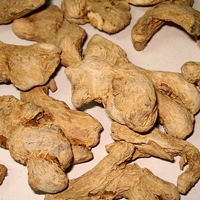 Naturally dried ginger is used in curries, soups, tea, etc. Since it is naturally dried, it is absolutely pure and of high quality. Dried ginger can be peeled and used which is known as white ginger. It can also be used in powdered form. Ginger powder is the powdered form of dried ginger and can be used as a quick garnishing or flavouring agent in a wide variety of dishes. 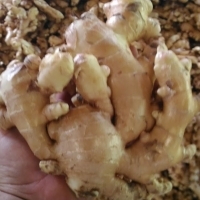 Ginger is grown at viet nam in tropical climates. 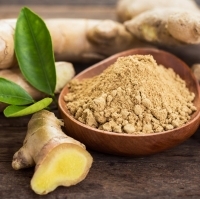 With many uses, therefore ginger is a product is used a common way. It is not only used as drinking water to keep heat but also other uses such as produce jam, candy, cook the meal.